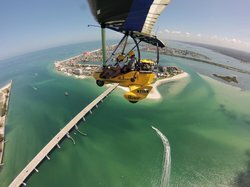 Tours from Tampa Bay Aviation tend to sell out - travelers recommend booking in advance! Jennifer, we are so glad you enjoyed your trip with us. We look forward to welcoming you again soon. 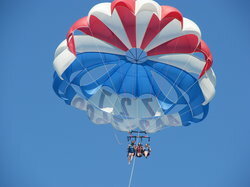 Let us fly you along the St. Pete Beach next time, or over Tarpon Springs! Father's Day / Gender Reveal Skyway Bridge Experience Helicopter tour with Tampa Bay Aviation was Brilliant! Congratulations on expecting a baby boy. What a great Father's Day gift for your husband! We hope that once your baby is born, you will bring him along for his first helicopter ride over Clearwater or St. Pete. We look forward to welcoming the three of you back! We had a beautiful flight over the beaches. 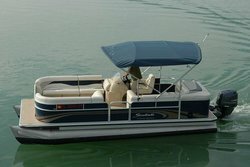 A very nice way to see the area! Eventhough it was a small plane it was a very smooth ride! Loved it! We are so glad you enjoyed your flight and hope that you will return to now try a helicopter tour! See you soon! Today I fulfilled another goal on my Bucket List. 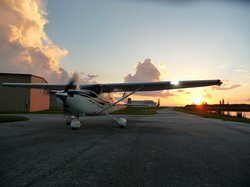 I flew a Cessna along with a licensed pilot/instructor. It was an excellent adventure. The instructor was very patient and explained every step that he was doing as we did the pre-flight check. Once in the air he handed the controls over to me, for the most part. 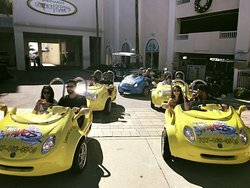 The instructor offered constant encouragement making the experience less stressful and much more enjoyable. Again, he explained everything that we were doing in the cabin in order to safely fly the plane in detail, but not so much as to be overwhelming. and not the yoke was confusing. However, it was far less confusing than the helicopter flight lesson I took last Fall. We are glad that we were able to assist you in fulfilling another goal on your Bucket List. We hope you will return to practice some more taxiing on the runway, practice makes perfect! Awesome time on a helicopter tour with the wife. First time on a helicopter. It was so cool. 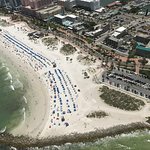 Flew over Tarpon springs area and down along the coastline over Honeymoon Island and Clearwater beach. Saw a manatee, sharks and dolphins from above as well. Great time and would highly recommend this to everyone. We are so glad you enjoyed your flight with us and hope that you will return soon to fly some other destinations. See you soon! Husband is a pilot in the UK, so once the instructor knew this he let him fly the whole 45 min flight, with just a bit of direction here and there. The views were amazing, an azure sea, reefs and sand islands. 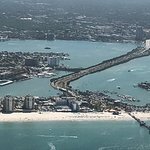 It was a smooth flight, and a great way to see Clearwater and it's surrounds. Thank you for flying with Tampa Bay Aviation and we hope you will return again to enjoy other scenic views that we can offer you!